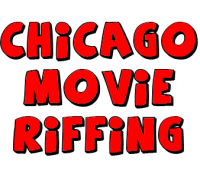 Down In Front is in its third year as Chicago's riffing crew and we're on the lookout for opportunities to grow! Being a free live show doesn't afford much to put toward those efforts, so we ask for help wherever we can find it. Our preferred method is our Patreon, as it enables you to support us AND give us the ability to show you some love back as we hit our goals! By donating to Down In Front's Patreon, you'll not only be supporting live comedy in Chicago, you'll be helping us produce our show online so you can watch it at home and share it with your friends, and at the higher levels you'll even get to be involved at the creative level; don't think we wouldn't love to have you! You can find out everything you need to know at www.patreon.com/downinfrontlive. As always, thank you for your support!